Like other cold-blooded animals, fish behavior varies depending on the water temperature. 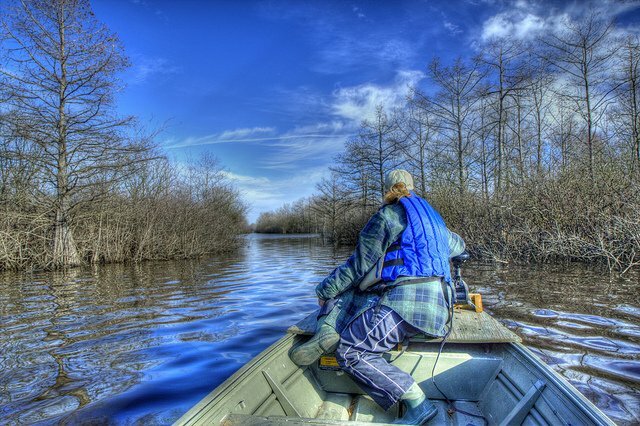 This means that during the winter months, the metabolism of bass and other fish drops right along with the temperatures. With this in mind, it’s important to pay attention to water temperatures in your region and match your lure presentation to the conditions to maximize your odds of drawing a strike. Some lures seem to be tailor-made for cold weather bass fishing, and it’s these lures you’ll want to take with you if you’re able to target bass this winter. An angler favorite when the temperature drops, jerkbaits have rightfully earned their status as a go-to cold weather bass lure. Jerkbaits work so well because they can suspend in place, allowing anglers to offer a presentation that perfectly imitates a dying baitfish. To fully utilize all that jerkbaits have to offer, find a steep point and work the bait across the point in a twitch-twitch-pause retrieve all the way back to the boat. Experiment with different retrieves, including varying your speed and the length of your pauses, and see how the fish react. Some of my favorite jerkbaits are Rapala’s Husky Jerk and Lucky Craft’s Lightning Pointer. Skirted jigs offer a versatility that is invaluable when it gets cold outside. You can cast a lightweight jig and let it subtly sink to the bottom, or you can slowly creep a football jig across deeper points and ledges; the possibilities are nearly endless. With jigs, you’ll want to focus on areas with deep water access and offer some kind of cover, such as rocks or wood. Whatever kind of location you choose, though, just remember to fish a jig as slowly as you can. Solid jig options include the BOOYAH Boo Jig, Chompers Flipping Brush Jig or Strike King’s Hack Attack Jig. If you’ve got a group of bass holding beneath your boat, a jigging spoon is an excellent way to get them to bite. The trick is to drop the jigging spoon into their midst and give it a couple twitches. Start by working the spoon a couple feet above the bass and then if they don’t take the bite after a few lifts, drop the spoon through into the school and stir things up. It’s hard to beat Eppinger’s Original Dardevle Spoons, which come in a wide variety of color patterns and sizes.